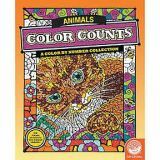 Filled with original, hand-drawn illustrations of animals, these coloring pages incorporate the color-by-number concept. 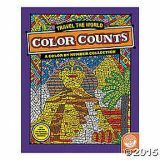 As you color, fantastic hidden images reveal themselves. Once you've completed the numbered designs, try the un-numbered version of the illustration to add your own unique style. Each design, printed on artist-quality paper, creates a frame-worthy finished product! 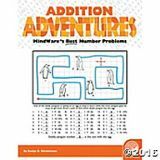 Includes 23 perforated pages including 8 fold-out pages that extend to a 10" x 15" size. 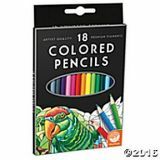 Our exclusive set of 18 colored pencils features thick leads and brilliant pigments to provide saturated color coverage. Solid wood barrels are lacquered to match their core colors. Includes dark and light flesh tones. 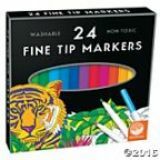 Fine detail and 24 fabulous colors-create a masterpiece with our professional-quality art markers! Ideal for precise detail and clear color definition, our water-based markers are perfect for coloring, drawing or writing. 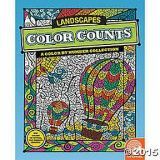 Make coloring book pages come to life, fashion homemade cards and posters or draw your own work of art with MindWare's vibrant fine-tip markers! 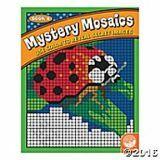 Mystery Mosaics Coloring Books are filled with 18 amazing designs disguised as numbered squares. 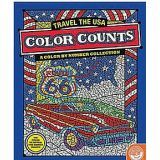 At first glance, you will have absolutely no clue what each completed image might turn out to be...follow the number guide, apply color, and watch the incredible mosaic picture take shape! 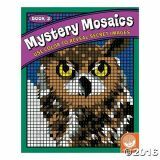 This book will build the visual perception skills of the most creative puzzlers. Pick up a pencil and sharpen your deductive reasoning skills with these challenging logic puzzles. Each Perplexor puzzle categorizes information and lists clues below. By using the "cross-out-and-circle" technique, you will practice logical thinking in order to find the correct answer. Perplexors: Basic Level (Ages 8 to 9) includes 48 full-page puzzles with solutions. Reproducible. Pick up a pencil and sharpen your deductive reasoning skills with these challenging logic puzzles. 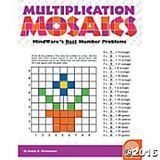 Each Perplexor puzzle categorizes information and lists clues below. By using the "cross-out-and-circle" technique, you will practice logical thinking in order to find the correct answer. Perplexors: Level B (Ages 10 to 11) includes 48 full-page puzzles with solutions. Reproducible. Pick up a pencil and sharpen your deductive reasoning skills with these challenging logic puzzles. Each Perplexor puzzle categorizes information and lists clues below. By using the "cross-out-and-circle" technique, you will practice logical thinking in order to find the correct answer. 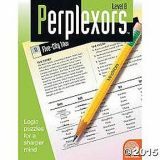 Perplexors: Level C (Ages 11 to 12) includes 48 full-page puzzles with solutions. Reproducible. 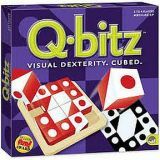 Q-bitz offers three types of visual challenges - making it the perfect game for multiple playing styles. 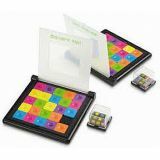 Round one of this popular MindWare game is all about speed as players race to manipulate their cubes to copy the pattern on the Q-bitz pattern card. In round two, players roll all of their cubes on the table like dice. Using the cubes as rolled (face up) players place as many cubes as possible in their tray to recreate the pattern shown on the card. 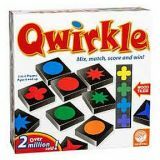 Players race to re-roll all remaining unusable cubes until they roll shapes that are needed to complete the pattern. Round three really tests brain power, as players must re-create the pattern from memory. 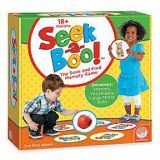 Say goodbye to boredom and challenge your mind and each other with this family-fun puzzle game!